There has never been a more exciting time for brands to jump into the digital marketing arena than now. Any strong digital marketing strategy will need to take into account upcoming trends as we head into 2018. Adapting to these changes will assure that you are not left in the dust, as online audiences grow exponentially each year. For 2018, it’s true that there are innovative, new features for marketers to master, as well as a shift in the way that audiences are consuming content. Marketers are focusing on the micro-scale in reaching their prospects. In addition to this, we are seeing a persistence and deepening trends, such as content creation, SEO, mobile, and more. Below, we’ve compiled a list of 2018 digital marketing trends to watch. 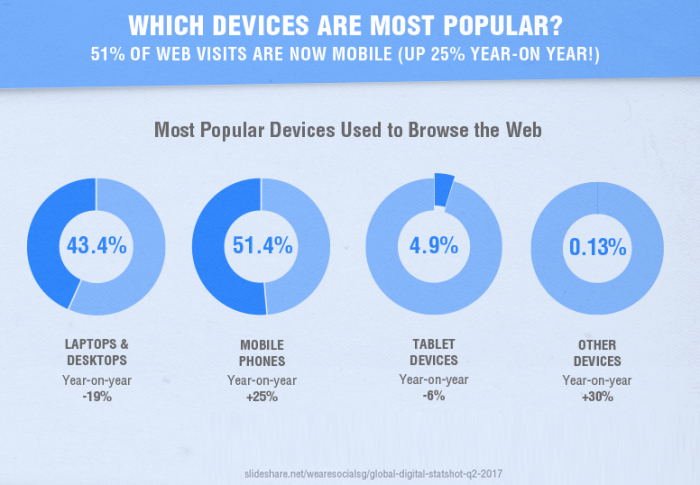 Below, you’ll see that mobile phones have overtaken laptops and desktops as the most popular device-- with 25% year over year! What else is happening on the micro-scale of user engagement? Ephemeral content is content that doesn’t have a permanent place to live online. We may thank the birth of Snapchat for this online trend, as the basis of the platform is images that last only a few seconds. Since then, Facebook and Instagram have jumped onboard with ephemeral content as well, rolling out “stories” in 2017, which only last 24 hours. Live videos play into this as well. These videos tend to draw a smaller audience than a page’s total following (micro-scale! ), but this audience is hyper-engaged. In 2018, we will see brands grappling with how to make content that isn’t meant to last forever, but meant to communicate with a core, engaged audience. Marketing strategies in 2018 need to account for more content creation than ever before. Without turning up the frequency and quality up a notch, your brand is at risk of falling to the wayside, as others pick up the pace. Times are changing, and social media habits are no exception. In 2014, there were under 2 billion users on social media, and 72 hours of video uploaded to YouTube every minute! Today, we are at almost 3 billion active social media users, and there are over 300 hours of video uploaded to YouTube each minute! In fact, every 2 days, we create as much content as we did leading up to 2003. Listen up brands: keep posting, and keep your visibility in 2018. The personalization of content has been common practice in marketing strategies in the recent years, and there is no sign of it slowing down anytime soon. Over the course of the past few years, brands have been using personalization within their marketing strategies, using automation tools to reach users based on their behaviors, interests, and other defining factors. We are expecting to see an increase in these practices in 2018. Two thirds of businesses expect to see greater than 6% increase in revenue in using personalization! It is proven that personalization, such as using a subscriber’s name in a subject line, increases open rates, click through rates, and ultimately conversions. Personalization can also come into play throughout other parts of the customer journey, through dynamic content on landing pages and otherwise. Using personalization will add value. Below, you will see ten avenues that can be improved by using this method. These automated customer service agents strive to boost user experience, in using customer data. In 2018, users will come to expect a bot, waiting for their inquiries, on your website. In October 2017, Facebook rolled out a chatbot program in which automated messages are sent to business page owners in order to give them social media marketing tips--and drive sales, of course. Human customer service agents, don’t fret! 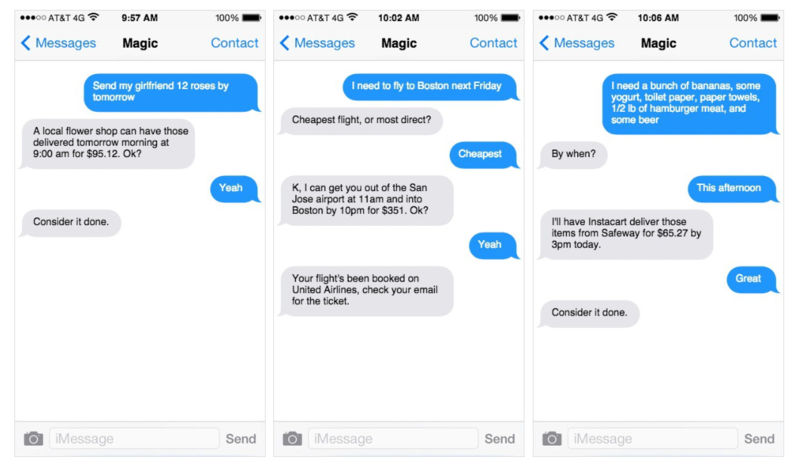 Chatbots help cover the most frequent, menial customer requests, so humans can focus more on customer operations and garner a more well-rounded customer experience with a human touch. We know that augmented reality is experiencing a revival, and here to stay. We saw this with the gamification of the phone camera-- and the explosion of AR based games. When Apple announced the iPhone 8 and X and their features, they showed the world just how much stock they put into augmented reality as well. Now, it is into marketers’ hands to develop new ways to reach their audiences while incorporating the AR experience. In September 2017, IKEA launched an AR based app that allows users to see their products in their homes. Undeniably, showing prospects what your merchandise once in their possession is a huge driver of sales. Brands will have to tap into their creativity in order to use augmented reality to their advantage in 2018. Successful marketers in 2018 will keep a close eye on industry changes in SEO strategy. Search engines will be shifting their priorities towards building relationships, and helping brands build powerful contacts that will benefit them in the long term picture. We will be seeing this change in 3 major areas: content, voice searches, and quality link building. It appears that SEO and content are moving to converge into a single avenue, as almost 97% of marketers are noticing that this combination is more integral than ever. This is simple, the better quality your content is, the more users will engage, and the more visible you will become. Secondly, voice search is expected to be king in 2018 and beyond. Google has stated that a fifth of their total searches come from voice search! The brands that will benefit from this are those that will use language-derived keywords for their audiences. Finally, link sharing is still going strong, if not becoming more prevalent. It will be important here to create quality links for your target audience. Focus on adding value, not just producing as much content. As the old saying goes: quality over quantity. Audiences are now becoming savvy to what clickbait is. When websites (social media platforms and blogs, etc.) put an emphasis on link sharing a few years ago, many websites saw growth in visits and readership. A lot has changed since then, as link sharing is at an all time high. Audiences are now engaging with links through less monitored channels, such as private messaging platforms like Facebook Chat, WhatsApp, WeChat, and others. This progression in activity is only natural. How are digital marketers adapting to this shift in user habits, exactly? To further grow CTR and readership, marketers have been designing their content in order to be shared on all of these different channels, and different kinds of channels: from social media, to messaging apps. Influencer marketing is forecasted to continue its upward trajectory as well. However, what will change is marketers’ outlook as they approach influencers to collaborate with them. Audiences are becoming more aware of product mentions, endorsements, and placements in their feeds, so in 2018, brands will be looking to foster more meaningful connections with influencers and audience members. Building a genuine relationship with consumers will mean carefully planning marketing strategies to map out clear objectives in working with influencers, and thoughtfully selecting exactly which influencers to work with. Native ads are considered to be a highly effective marketing style, essentially “hiding” your product placement in plain sight. Native ads typically present themselves in the editorial context, presenting itself as typical content from a particular source. This may be presented as an editorial, an infomercial, an endorsement from an influencer, and so on. According to Business Insider, native ads are projected to drive almost 75% of all ad revenue by 2020! This advertising style has proven itself as a viable alternative for interruptive ads, which often frustrate audiences. Of course, a focal part of this method is to make sure you are placing your product or service within content that your target audience is already known to enjoy. If you’ve logged into a social media platform at all in the last year, chances are that you’ve gotten wrapped up in watching your fair share of videos. This is no coincidence! In 2017, 90% of user-shared content was video. In turn, it is predicted that video will make up a total of 80% of all online internet traffic in 2020! Marketers and businesses are becoming privy to this. 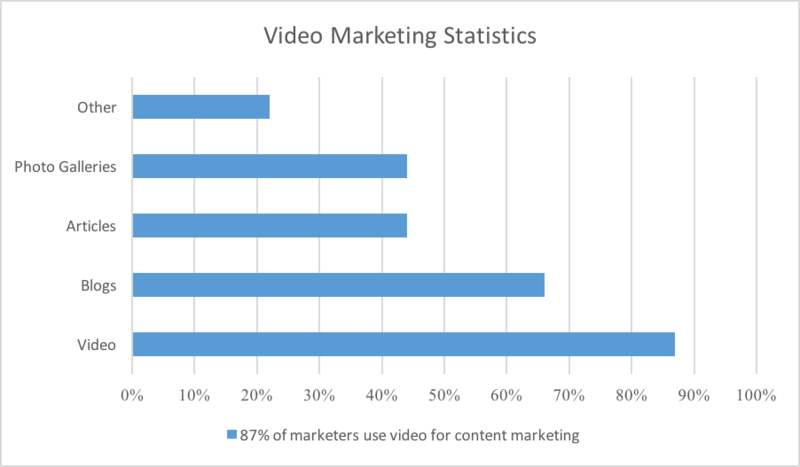 Marketing teams worldwide have now put an emphasis on video production in their content creation pipelines. In addition to this, social media platforms are also making it easier for content creators to make engaging videos; through Facebook and Instagram Live, as well as Periscope. Video is taking over as the most effective medium for content (as seen below). Are you riding the wave? You may have heard the term machine learning in 2017, as it’s been a hot topic in tech and marketing news. As ML is becoming popularized, marketers are rushing to develop methods in which to take advantage of it. Specifically, machine learning empowers marketers to predict what a consumer may want using databases. This can be by looking at what people have searched for, read about, ‘like’ or follow. Powerful algorithms that can parse complex data can allow marketers to provide increasingly relevant marketing material. A prime example of machine learning marketing in action is by California based tech company NVIDIA. They use ML to sift through social media posts to find those that mention their brand using an algorithm. These algorithms will be key to riding the machine learning wave in 2018. Automated processes will soon replace human tasks, opening up more time for higher-level thinking. We know that 2018 will be a huge year for increasing our presence online. Without doing so, brands are at risk of becoming background noise. However, it’s true that changes in online habits are now demanding more from marketers and brands alike. Luckily, this doesn’t have to mean that marketing professionals should double their hours at the office! Marketing automation tools are not new, but they are rapidly advancing to keep up with demand, and they’ve never been as important to use as they are now. A good quality marketing automation tool can help you post more, build comprehensive customer journeys, integrate dynamic content, utilize machine learning, and much more! Learn more about what marketing automation can do for you. Micro-scale marketing with a heavy focus on quality is the common theme here in 2018. There are more up-and-coming technologies for marketers experiment with every day. There is also a large emphasis on doubling down on tried and true marketing methods like content creation, SEO, and beyond!